Kuk Sool is a comprehensive martial arts system that is derived from the rich and varied martial arts techniques and traditions that have arisen in Korea through the ages. Kuk Sool is not a sport, nor is it simply another oriental self defence method. 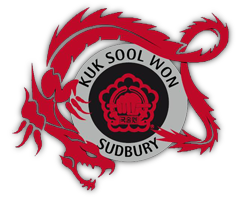 Kuk Sool is a complete martial art that is dedicated to the cultivation of mental strength and well being and to the preservation of traditional Korean Martial Arts. Although its origin may be traced back to antiquity, the present Kuk Sool system was formally devised only recently. Grand master In Hyuk Suh spent more than fifty years in single minded practice and research in order to learn, compile, master and organize the more than 3,600 techniques that comprise Kuk Sool. He founded the Kuk Sool Won ™ in 1961 and took it to the United States in 1974. For further information see the World Kuk Sool Association website which can be accessed through our Links page.